TiFL :: Road / Flat Mount. TiFL forks are designed around the modern disc brake road bike with flat mount brake calipers. PLEASE NOTE: Although the TiFL fork uses the same titanium tapered steerer/crown assembly as our TiGV forks the prescribed location for Flat Mount (FM) brake calipers was designed exclusively around composite (carbon fiber) forks and does not provide for the use of straight legs for fork construction. 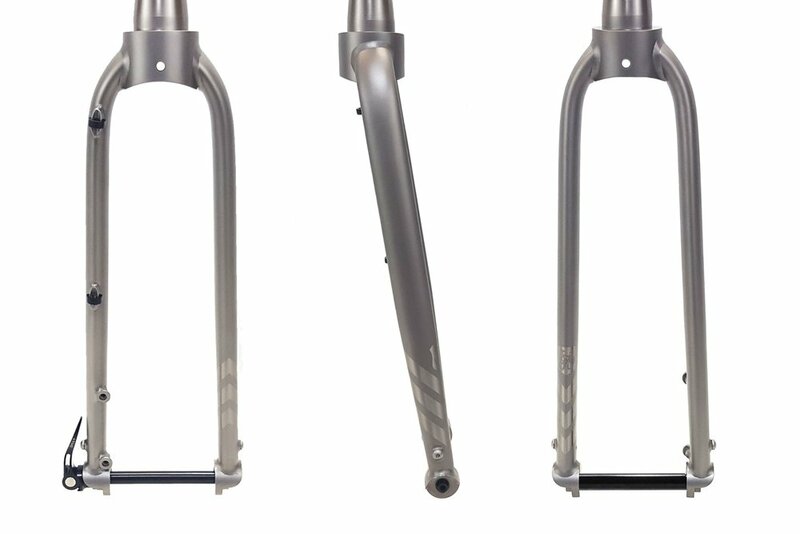 Whether in production or semi-custom format all FM titanium forks must use a tapered fork leg. WANT TO CUSTOMIZE THIS FORK? Order a Semi-Custom fork with your choice of dropouts, routing, finish, etc.